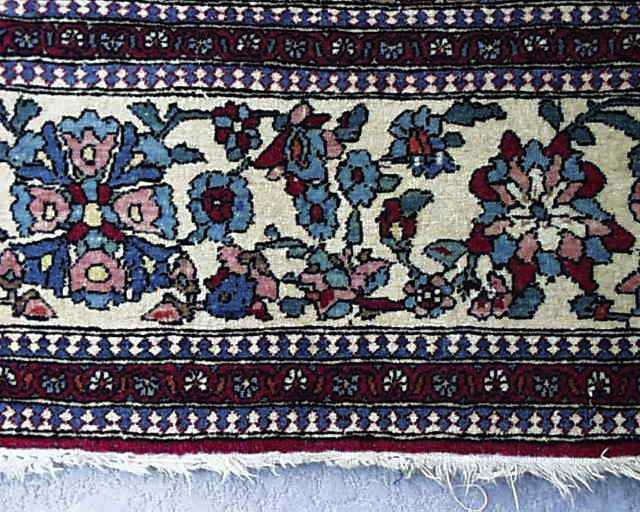 VVery finely knotted old Meshed carpet in very good condition. Obviously well taken care of with vivid but soft colors that indicate it's age. Closely cut pile typical of higher quality rugs from the Meshed area in the 1920's. Formal & elegant in a classic Persian garden design.